How Long Will The Proform Pro 2000 Last? Proform has been known to differentiate their products in slightly different price points to be better suited for runners or walkers. Our Third Place Best Buy Winner, the Proform Performance 1800i, is almost identical to this treadmill but with a slightly less sturdy build. A reasonable conclusion would, thus, be that Proform has built the Pro 2000, which is few dollars more, to be better suited for runners. While we do not recommend someone training for a marathon or accustomed to daily running for long periods of time to purchase machines in this price point, someone who enjoys jogging or light running may fare well with this treadmill. The quality put into this machine, while not the best, is likely to provide at least a few good years of moderate use. Just be sure to do your homework on how to take care of your treadmill. A few simple steps to create an ideal environment for your machine will help to ensure a longer life. Proform has equipped the Pro 2000 with a sturdy build, unique incline, and their predictable amount of workout programs all backed by a slightly above average warranty. Accordingly, we have awarded this treadmill First Place in our 2019 Best Buy race among the $1,000 to $1,299-dollar category. We would recommend this machine for a light runner or heavy jogger. 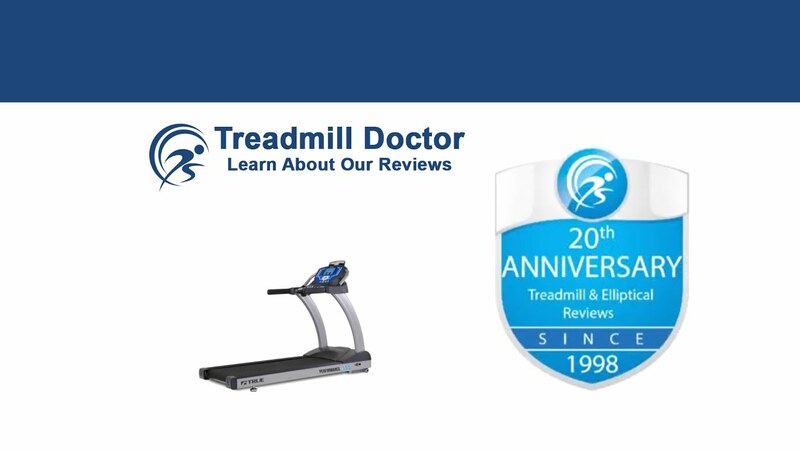 We first like to review each of the treadmill features before we get into the reasons why we like and dislike a treadmill. So, to start, you may see Proform advertising the iFit Coach Technology. Please note that a more accurate description would be “iFit Capable pending the purchase of a subscription.” Proform does include a one-year free iFit subscription with some of their other, more expensive treadmills. But they have opted out of the additional value for the Pro 2000. Accordingly, you will only be able to access the iFit Technology if you purchase the subscription. Proform also advertises the Pro 2000 treadmill’s 7” Backlit Display. Any time you see the term “Backlit” you can almost always associate it with a cheaper LCD display. You know, those screens that are blue with white lettering and look like an alarm clock screen. Additionally, you may see the EKG Heart Rate Monitor being advertised. This simply means that the Pro 2000 treadmill comes with two metal plates on each handle that detect your pulse when you touch them. Proform also advertises their CoolAire Workout Fan. We hope that the CoolAire marketing is not fooling anybody by making you think that the Pro 2000 has some special kind of fan. You may have also seen the ProShox Cushioning feature. Unlike brands like LifeFitness and Horizon, Proform is not known for their shock absorption technology. So, to compensate, Proform has described the Pro 2000’s shock absorbers with a fancy term. But, in reality, the Pro 2000’s cushioning is pretty standard. Lastly, you may have also seen that the Pro 2000 comes with SpaceSaver Folding Design with EasyLift Assist. The Space Saver Folding Design is Proform’s frilly way of saying that the Pro 2000 is a folding treadmill. And the EasyLift Assist is a hydraulic pump on the bottom of the pump that helps the deck rise and fall slowly into and out of folding position. Proform includes the EasyLift Assist with their more expensive treadmills because it slightly enhances the folding feature. I think it is safe to say that this treadmill may be one of the best of the cheaper treadmills currently on the market. While this machine may not be the hundred-dollar glass of Pinot Noir, it resembles the best boxed Moscato. The Pro 2000 has one of the sturdiest builds of the $1,000 to $1,299-dollar machines; a good indication of this treadmill's durability. The warranty is also slightly above the standard for this price with five-year parts and two-year labor warranty. As always, Proform has also thrown in 32 workout apps. We are glad to see such additions when they are mirrored with utility. In order to determine a treadmill’s build, we look at three features: the horsepower/motor capacity, weight capacity, and the unit weight. Treadmill companies do not have to test their motor and weight standards according to a certain industry standard. Because there is not a set testing model, the horsepower and weight capacity can often be embellished in order to make the treadmill seem stronger. But, it is hard to fid the weight of a treadmill and the weight is often a good indication of a treadmill’s quality. Simply put, it takes a lot more plastic to make up 300lbs than it does steel. So, if the treadmill weighs over 200lbs, chances are it will have more steel or metal that usually increases the treadmill’s strength. In the Pro 2000’s case, the build is stronger than those of our other top four treadmills for this price range. Proform has equipped the Pro 2000 treadmill with a 3.5 CHP motor capacity and a 350lb weight capacity. These two features are backed by a unit weight of 310lbs**. When you look at these three features collectively, you can see that the Pro 2000 beats almost every other treadmill in this price range. Thus, the Pro 2000 is more likely to prove more durable than the majority of treadmills for this price range. One intriguing new addition that Proform has added is a decline ability. The Pro 2000 can decline 3% along with the standard incline capacity of 15%. Proform claims that this is a new way to increase your training and test your strength. They may just want to see how many people will smack their face on the control board and may be working on a new line of yoga mats for padding… Either way, we do like to recognize efforts to add value to machines when possible, and a three percent decline ability is certainly not standard for most treadmills. ** Please note that we have averaged the Pro 2000’s weight to 310lbs. Icon brand companies are not forthcoming with their treadmills' weights. We have often found this annoying and deceiving because we often have to use multiple sources in order to find an Icon treadmill weight. The Pro 2000 has a few conflicting weights. Some sources put the Pro 2000 at 320lbs while others say 290lbs. So, we decided on a number in the middle. And since Proform chooses to withhold important information, you’ll have to trust our best guess. Warranty Lifetime Frame & Motor Warranty, 5-Year Parts Warranty, and 2-Year Labor Warranty. The Pro 2000 has won multiple awards from us over the years thanks to the consistency in quality parts. For the price range, we have strongly recommended this treadmill seeing as how the parts over the years have challenged treadmills in the $3,000-dollar range. While Proform has cut a few corners over the years and has yet to dramatically improve their customer service, the Pro 2000 has proven to be a quality machine over the past six years. Our 2019 First Place Best Buy Winner has fared well among the $1,000 to $1,299 dollar machines. The Pro 2000 strikes a good balance between style and substance. A decent amount of workout programs and an uncommon incline capability are both matched by a slightly above average warranty and a respectable build. While we do not recommend a treadmill with this price tag for heavy runners, the Proform Pro 2000 is likely to fair well for a moderate jogger or a light runner. Thanks for reading our Proform pro 2000 review.